Updated at 11:19 p.m. on Wednesday, March 27, 2019, with more information. Tennessee has parted ways with women's basketball coach Holly Warlick after seven seasons. Reports of the move began leaking late Wednesday afternoon, and athletic director Phillip Fulmer confirmed the decision later in the day. "Holly and I met this afternoon, and I informed her of the decision to change leadership within the program," Fulmer said in a release. "Holly has dedicated most of her adult life to the University of Tennessee and the Lady Vols program. She loves Tennessee, and Tennessee needs to always love her back. She was front and center as this program developed into the model for women's intercollegiate excellence. Assistant coach Dean Lockwood will maintain operational oversight of the program until a coaching hire is made. Warlick finished 172-67 with the Lady Volunteers, winning the Southeastern Conference regular-season title in 2013 and 2015 and the SEC tournament championship in 2014. They advanced to the NCAA tournament in all seven of her seasons, reaching the Elite Eight in 2013, 2015 and 2016. Her last season ended in a 19-13 record and a first-round loss to UCLA in the NCAA tournament. It was a season embroiled in negativity, with a six-game losing streak and the first home loss in school history to Vanderbilt in the regular-season home finale. Warlick was an assistant under Pat Summitt, and was a part of 949 of Summitt's 1,098 wins. She was also the first All-American in Tennessee history, earning the honor three times while setting several records. 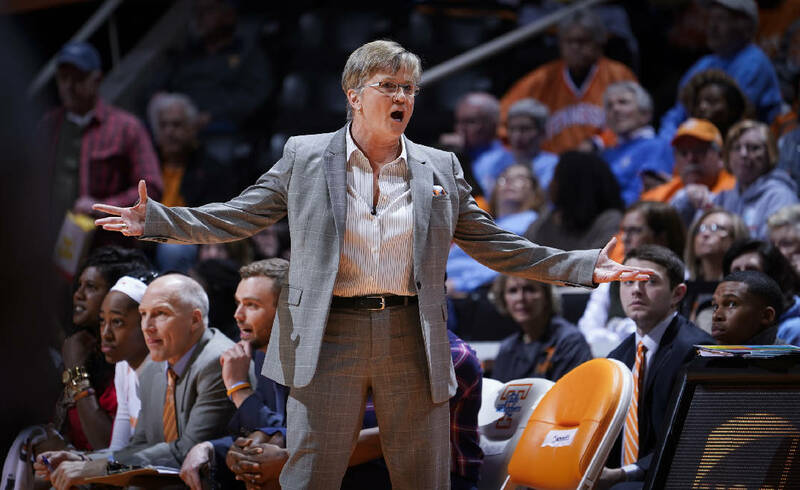 "I was a part of this program," Warlick said after the Lady Vols lost to UCLA on Saturday. "I played here; I obviously coached with Coach Summitt and was a head coach. I just want to be remembered for my passion for the program, passion for the game. I think it's a great game, and if I had a daughter — whether I'm coaching or not — I'd send her to the University of Tennessee because they care about women. "That's what you want: You want a woman to have that opportunity to be successful." Warlick also continued the Lady Vols' longstanding 100-percent graduation rate for players who have completed their collegiate careers at Tennessee.